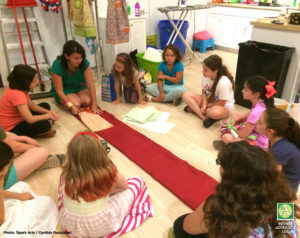 Photo: Instructor Laura Volpintesta (in green) with students during summer sewing class at Spark Arts in Bethel, CT. 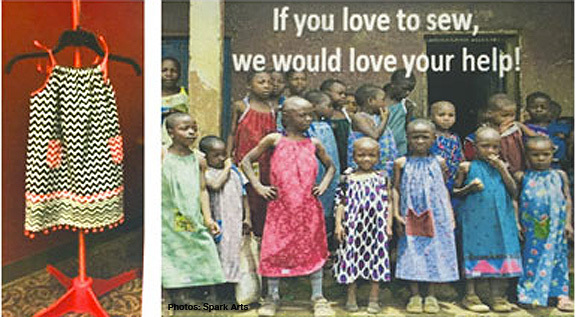 This summer, Spark Arts is partnering with the Walnut Hill Community Church ‘Dresses for Missions’ program. Since this past February 2017, Cynthia Rauschert is the new owner of Spark Arts, located at 137 Greenwood Avenue in Bethel, CT. She truly believes in projects that give back to the community or across the world. 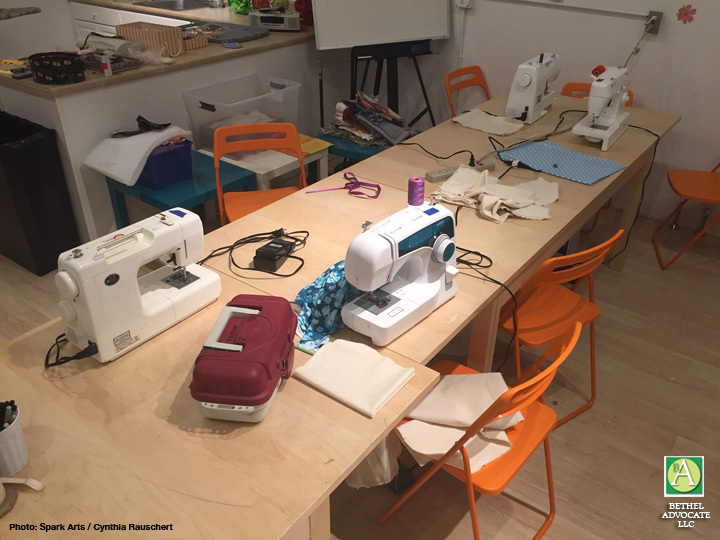 An example of this is the summer sewing workshop that is taking place this week at Spark Arts. 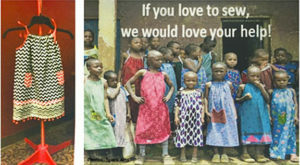 Sewing students are offered the opportunity to sew a dress for themselves along with a matching dress for a child in need overseas. Simple patterns are used, perfect for beginners. Spark Arts indicates, “Statistics show significant quality of life improvement for the recipients of these dresses.” Spark Arts is excited to support this program. 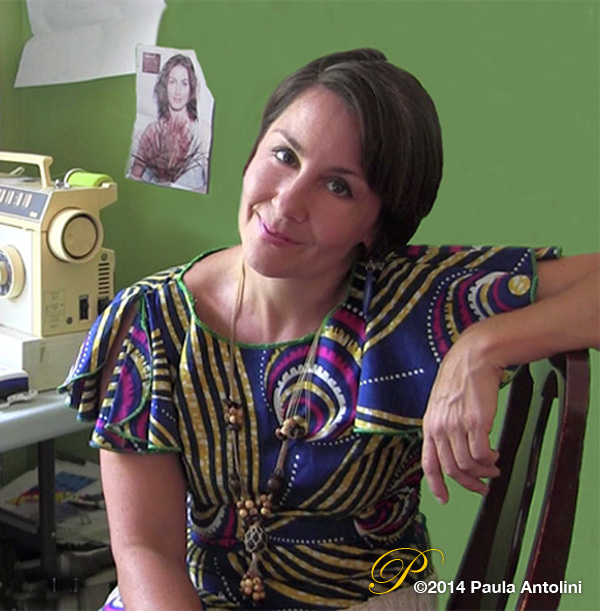 Photo: Sewing instructor Laura Volpintesta in her studio. (Bethel Advocate file photo 2014). 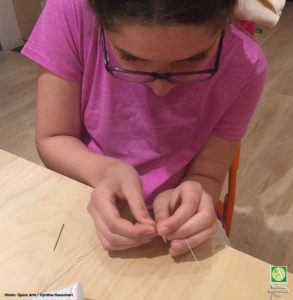 Students learn the basics of machine operation, hand-stitching, tools and terminology while creating fun projects in a small studio class. Projects are chosen by the students, and everyone has at least two take-homes by the end of the week, such as shirts, skirts and bags. 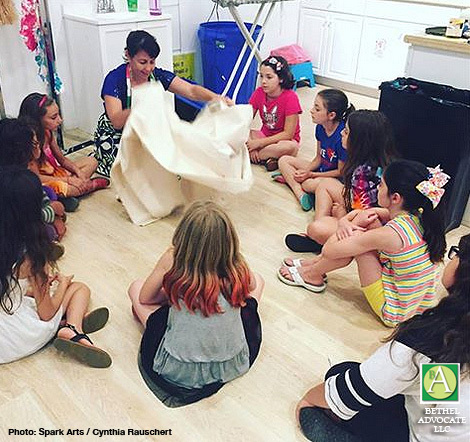 Students learn from a Spark Arts expert teacher, local fashion illustrator and musician, Laura Volpintesta. 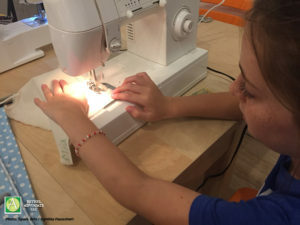 The “Intro to Sewing” class is July 10th-14th for ages 8 to 16, and there will be many more exciting classes from Spark Arts, see list below, and more will be coming in the Fall, Rauschert said. The ‘Dresses for Missions’ partnership came about in a conversation between Rauschert and Walnut Hill Community Church member Amanda Castro, after Rauschert met her at a networking event a few months ago, Rauschert said. “The ‘Dresses for Missions’ project came up and I thought it would be a great project for our ‘Intro to Sewing’ class,” Rauschert said. 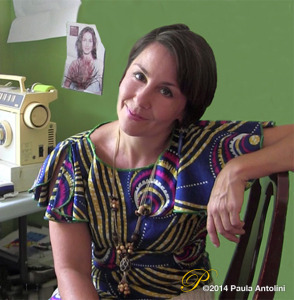 Rauschert attended a Sewing Bee class at Walnut Hill Community Church to check out the dresses and pick up a pattern. “We are offering the dresses as one of the projects that the students can choose from,” Rauschert said. Walnut Hill Community Church members Marlyn Briscoe and Jane Isaacs began the ‘Dresses for Missions’ project in October 2016. Over 30 women volunteer and have made over 200 dresses in the past nine months. Their missionaries then pack 45-50 dresses in each suitcase and take them to countries such as Haiti, Nigeria, and Costa Rica, where they distribute them to needy individuals. Sizes of dresses range from baby to approximately 13-year-old girls. For more information about the Spark Arts programs and contact information, see below. Circus, Dance, Sewing, Fashion Design, Acting, Photography, Puppetry, Song & Dance, & more! Or click here to submit form online.